This poem is entitled Ubukhosi which is a Xhosa word for Kingdoms. In this poem Sandile looks at the things that make a kingdom work, but first lists characters of a king that make him a success at leading people. He also makes mention of mistakes kings should avoid especially in the age of “enlightenement”. The poem is a blueprint for African traditional kings. This poem is titled My Son, My Son. Sandile writes a hear-felt poem dedicated to his son. He passes on life lessons that he has learnt in his life to him; he talks to him about women, friends and family. Sakuna isichotho semvula, agqekreze amazulu phezulu kuyanyanzeleka ezi zisanuk’ ubisi njengam zilulame, zimamele esosandi sohadi olusuka phezulu kwelesthethu izulu, mahle Tata angcwengile ndibulela int’ eyodwa, ndibulela ubulumko bakho othi usilumkisa ngabo thina mlisela nomthinjana wakwaNtu… Huntshu Thahla, Huntshu Ndayeni, Huntshu Nyauza, wena ohlamba ngobubende amanzi ekhona, anga uThixo namanyange bakunike ubomi obude ukuze singabantwana bomzi ontsundu sizuze nawokugqibhela amazwi obulumko kuwe. Sandile Washington Mhlontlo is a published Xhosa poet who was born in Mbinzana, Lady Frere. In 1971 he qualified as a Primary Teacher at Lovedale College. 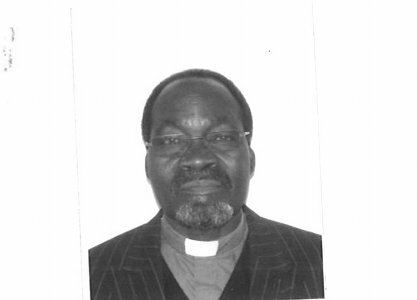 He started teaching in Mbinzana Higher Primary in 1972. In 1976 he was promoted to Headmaster at St. Peters-on-Indwe. He was ordained Roman Catholic Church Minister in 2001.